Waterloo, Ont. company Athena Software's annual Bernard Porlier Social Work Scholarship awarded to Tanya Costantini of Wilfrid Laurier University's Master of Social Work program for the 2015-16 academic year. Athena Software are the creators of the Penelope case management software solution for health and social services organizations. This award helped emphasize the hard work I’ve put into the social work program so far and provided a sense of motivation to keep going. Athena Software (http://www.athenasoftware.net) is pleased to announce that Tanya Costantini is this year’s recipient of the Bernard Porlier Social Work Scholarship, a financial award given annually to a student in the Master of Social Work (MSW) program at Wilfrid Laurier University (WLU) in Waterloo, Ont. The $2,000 award is given each year to a student in the two-year part-time or four-year full-time MSW program at WLU who pairs strong academic achievement with excellence in the field related to the health and wellness of families in the community. The award was established by Athena Software in 2008 and is named after the former executive director of K-W Counselling Services in Kitchener, whose contributions to the lives of families and individuals in Waterloo Region is commemorated by the award. Tanya said her love of learning and compassion for others led her to pursue a career in social work. Her experience in the MSW program at WLU has helped shape Tanya's future career path as well as providing her with lasting connections, she said. As well, completing her Master of Social Work has already helped Tanya land a great opportunity in her field. “I’m so fortunate to have secured a permanent social work position before graduation at a local hospital. I’m working with patients undergoing bariatric surgery with the support of a fantastic interdisciplinary team. I’m not sure what the future will bring, but I’m excited to be working in a profession that offers many unique opportunities to support others,” she said. 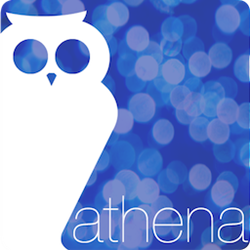 Athena Software (http://athenasoftware.net) is a case management software provider based in Waterloo, Ont., Canada. Since 2001, Athena has grown to partner with hundreds of health and social service organizations across the globe, with over 17,000 end users of its Penelope case management software solution.